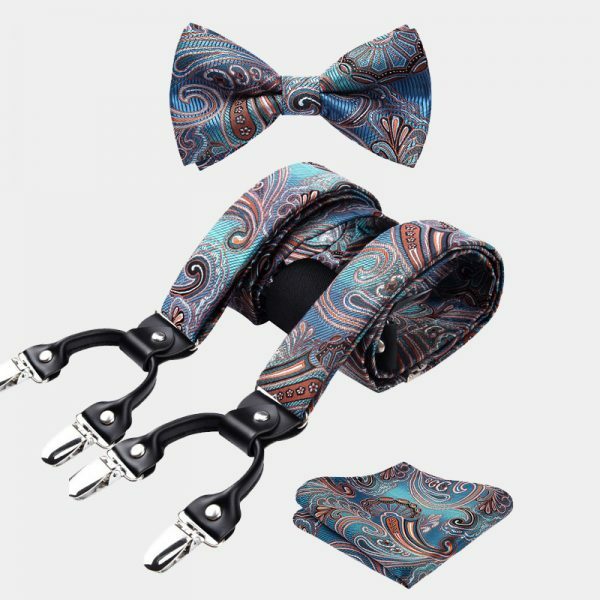 Upgrading your accessory collection to a brand new level with this gentleman’s blue paisley bow tie and suspenders set is easy. 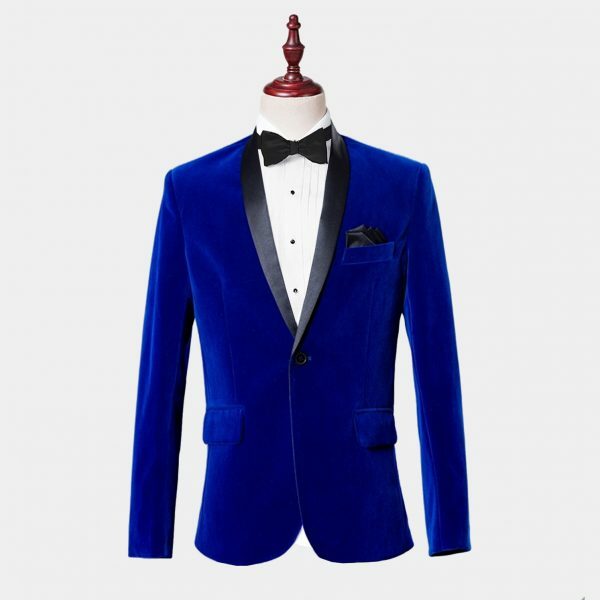 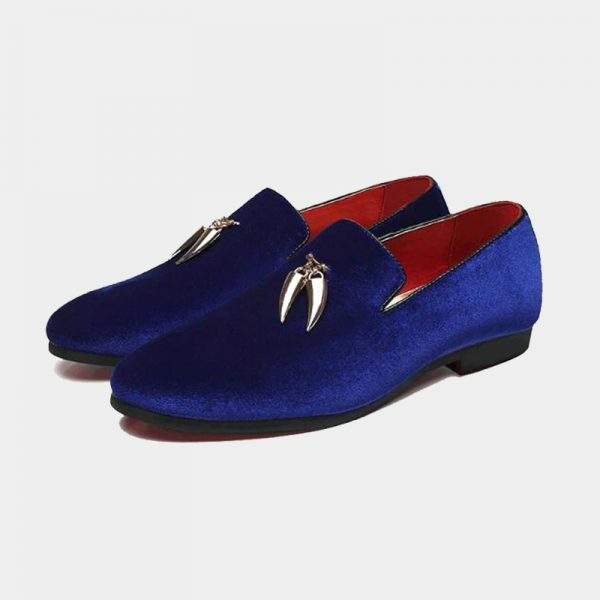 When you want to look sharp and spend your wardrobe money wisely, there is no reason to look any further. This handsome accessory set allows you to do both. 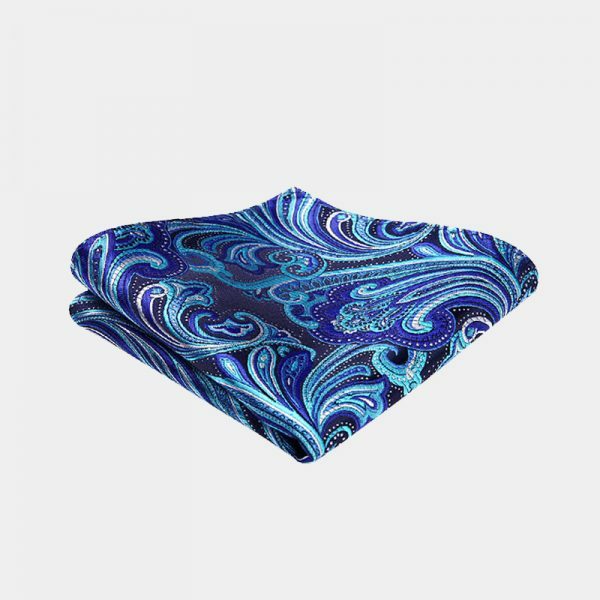 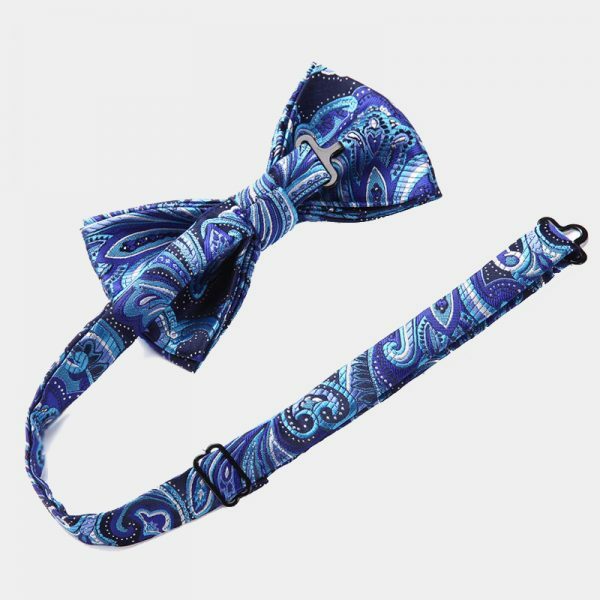 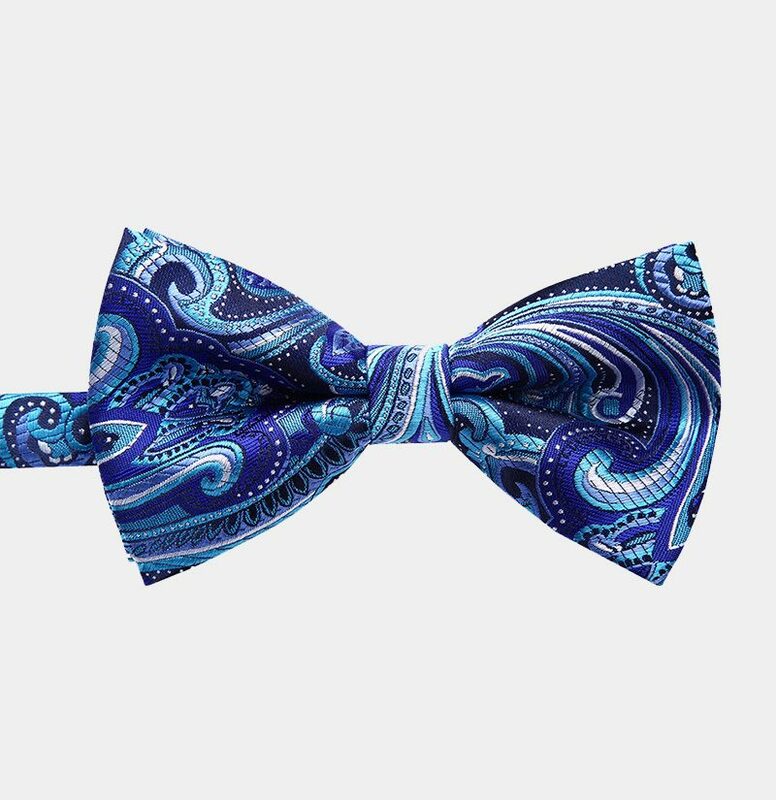 Wearing this dashing blue paisley bow tie and suspenders set with your business suits or casual attire sets you apart from the rest and looking your best. 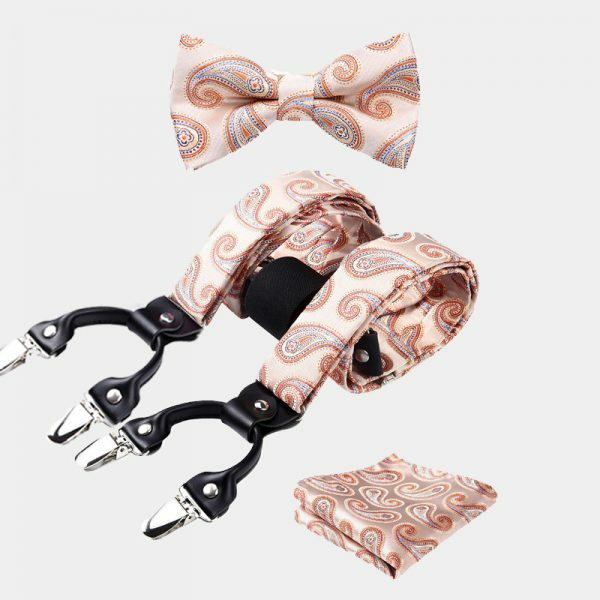 These modern and classy accessories can be worn together or separately. 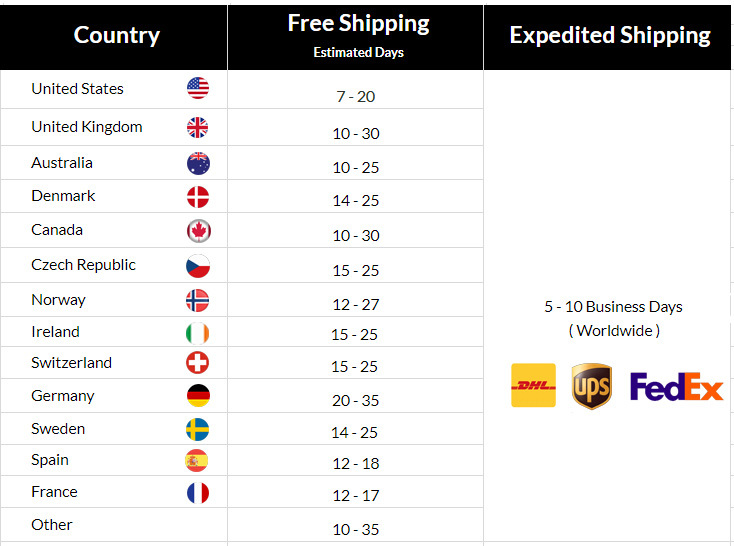 This makes them a great value for the money. 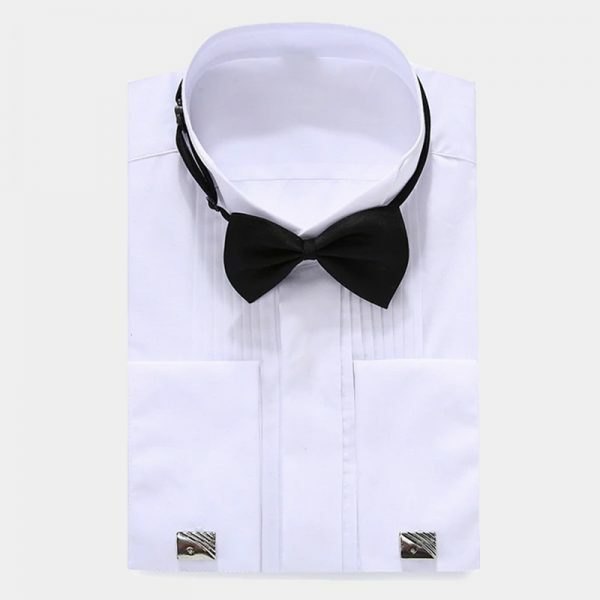 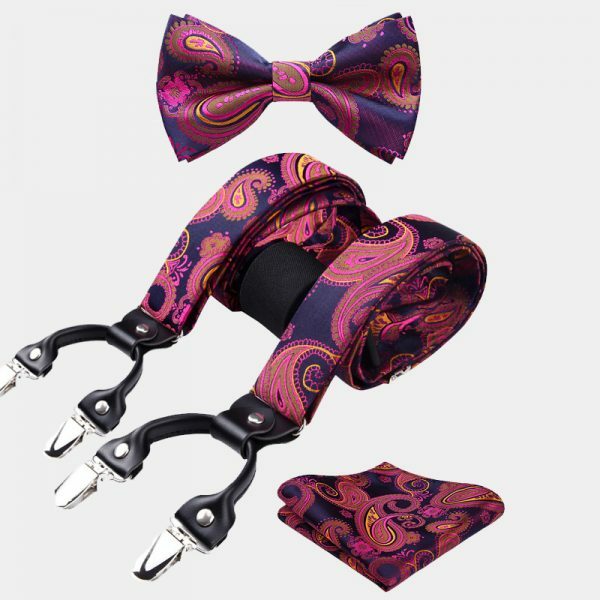 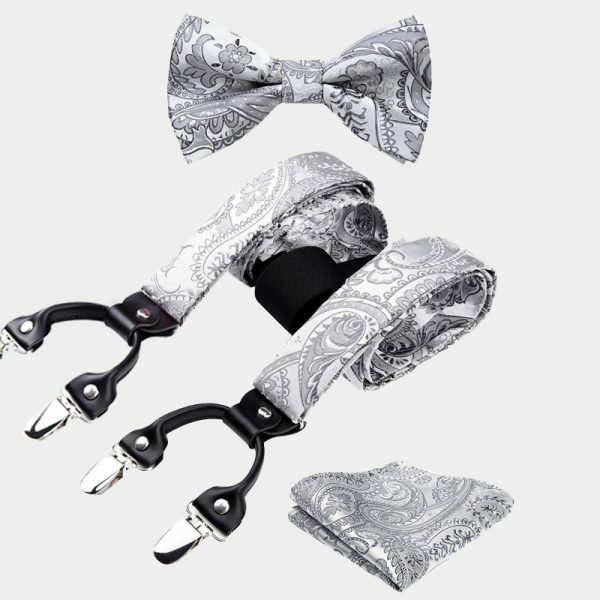 This attractive set consists of matching suspenders, pocket square, and a pre-tied bow tie. 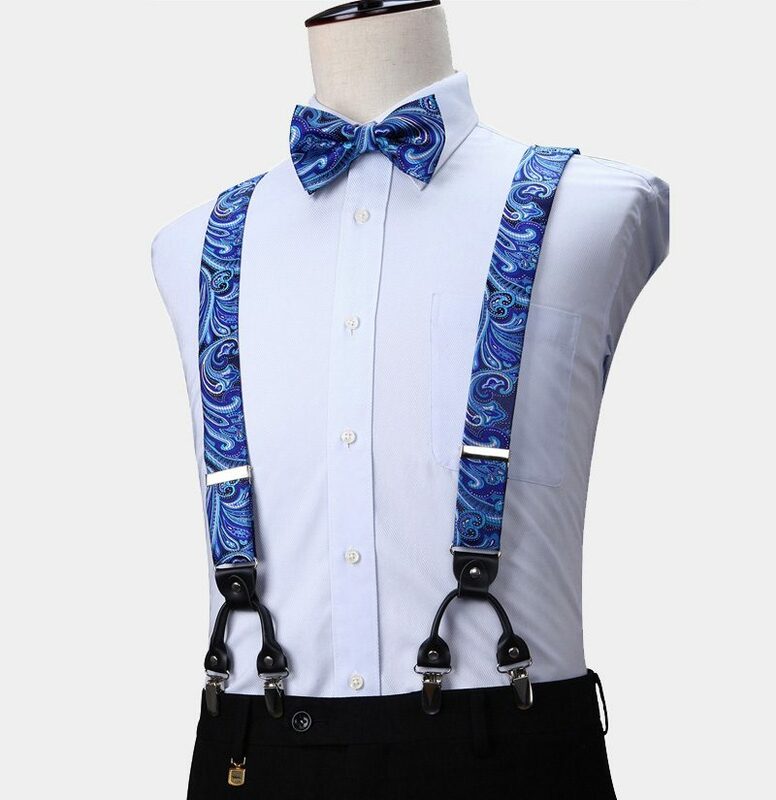 The bow tie and suspenders easily adjust. 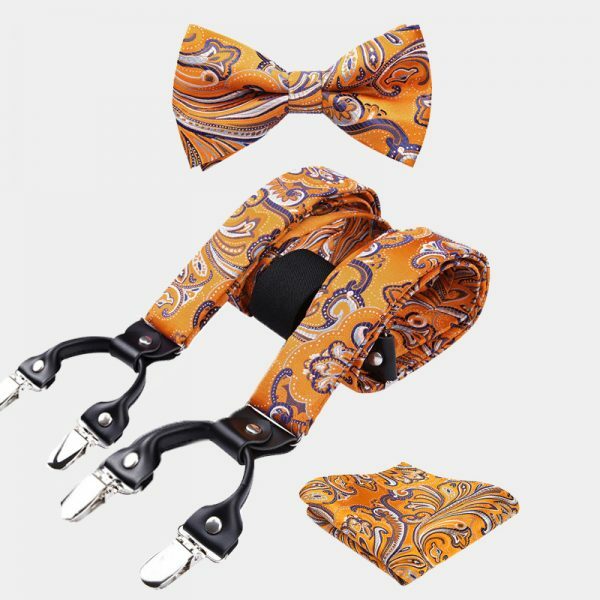 This allows you a perfect fit every time you wear them. 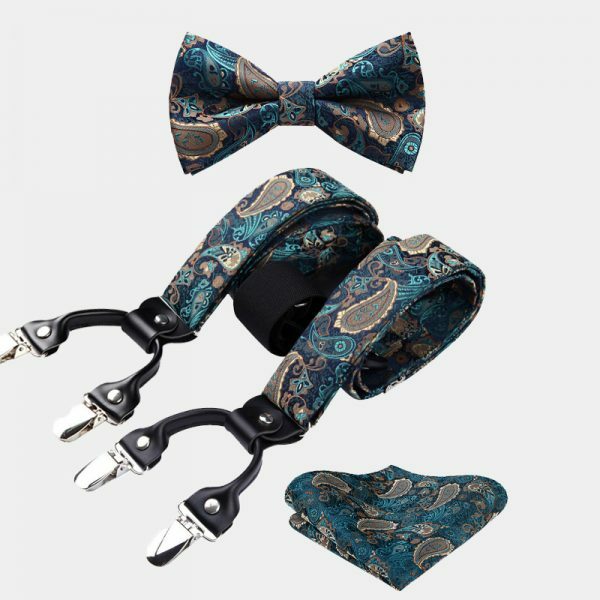 These unique no-fuss accessories use top-of-the-line materials. 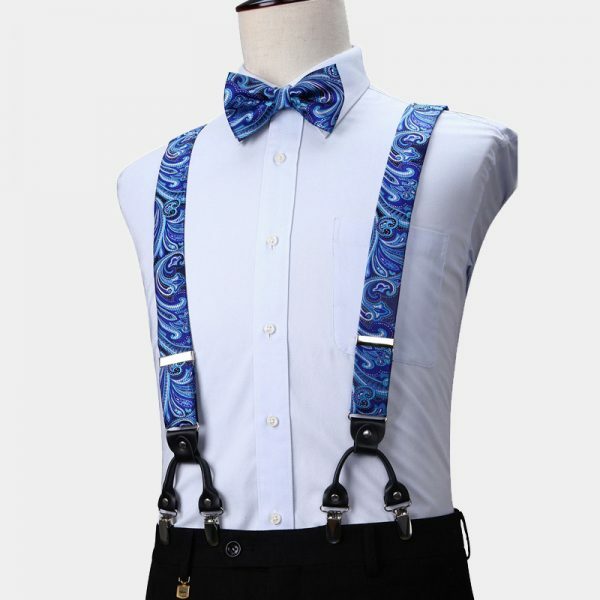 The suspenders have sturdy metal clips that have a non-slip grip. 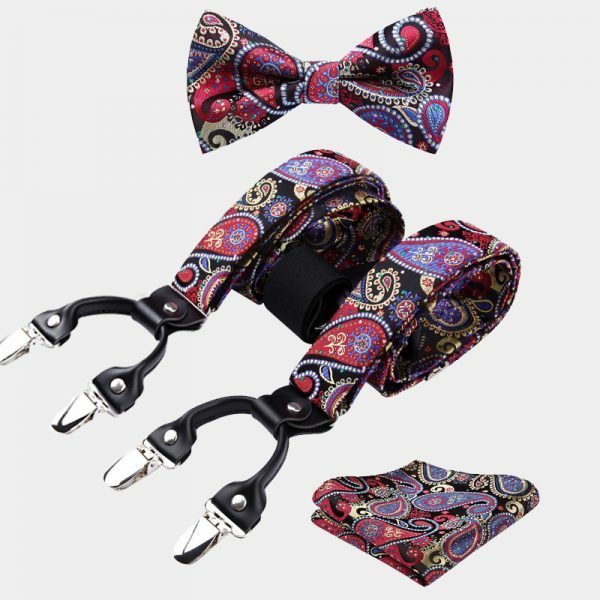 Thus keeping your pants where you want them. Pick up this alluring blue paisley bow tie and suspenders set and elevate your look today.